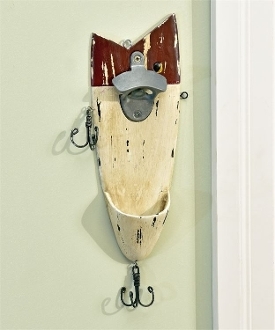 If you love fishing you will love the Fishing Lure wall mount. It includes a bottle opener and hooks for items such as keys. Size: 5.5" x 1.4" x 13". 5.5" x 1.4" x 13".